Over the past couple years, I attempted to raise awareness to the number of veterans who were losing their personal wars after returning home in an effort known as “Brothers in Aprons for Brothers in Uniform”. The concept was easy, donate money to help other organizations that assisted in finding military personnel that were living homeless in our country and forward them a hoping chance at survival and becoming effective citizens in the United States again. For so much money raised, I would run a mile. However, the attempt didn’t go as according to planned. The initial mission was to have as many lodges across the country raise money in their lodge and that money would go toward the efforts by individuals that would scour the homeless populations, searching for veterans. Understandably, many lack the confidence in what their money is actually going towards. However, over the time that this awareness mission was in effect the number of people liking the facebook page, “Brothers in Aprons for Brothers in Arms”, has multiplied. Forcing me to believe that all wasn’t lost; people still do care and want to help where they can, even if it isn’t in helping raise funds. Therefore, I am attempting another mission that will still provide that sense of duty from our Masonic Brothers toward the brothers and sisters who have written a blank check to the defense of this great nation. This is titled “Boots Across America”. Yet, again the mission is simple. Raise money to help various organizations that make veterans, military members, police officers and other public service members, the main focus. To help alleviate the issues that arise when raising money, the goal is to establish a location in every lodge across the country that members can give in their own ability to an organization that has been agreed upon by the lodge at the time the lodge has agreed to donate the money. This will help keep the rest of brothers who are unsure of what they are paying for. Below this article I have included a list of various charities that make an effort to help our military, police, firefighters and EMTs. If the national level of charitable organizations is something your lodge is not interested in providing for, it is completely understandable. There are local organizations that are in dire need of your assistance. My local lodge has recently decided to take an old boot of mine and use it to collect any monies that brethren are willing to donate, and attribute it toward local fund raising money for monuments for the Gold Star Mothers and Blue Star Mothers in Genesee County, which I will be publishing an article on my “Off Topic” blog, as well as different newspapers in the local area. If your lodge would like to help contribute to any fund that offers assistance toward our military, police, firefighters and emts; I would highly suggest you place a boot in your lodge that allows for loose change to be donated. Perhaps, you can use the boot at your monthly pancake breakfast or whatever else you use to help raise money for the lodge and your lodge’s endeavors. If you would like access to a boot, access to a public presentation of this event, or anything else, you may contact me via telephone or email (located at the bottom of this article, just before the chartiable organizations). 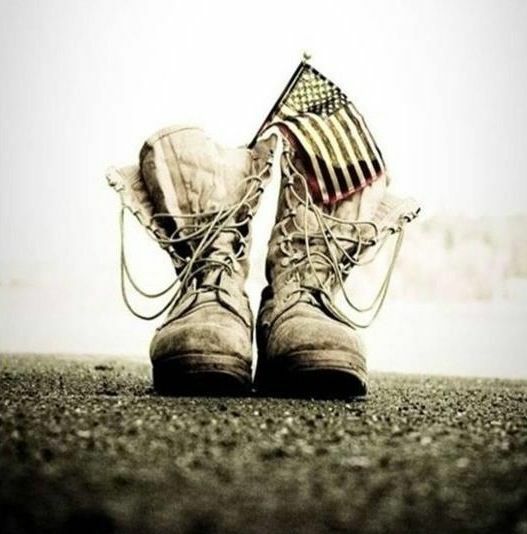 I would be honored to provide an old combat boot of mine, or to come to your lodge to provide a presentation about what “Boots Across America” is all about.